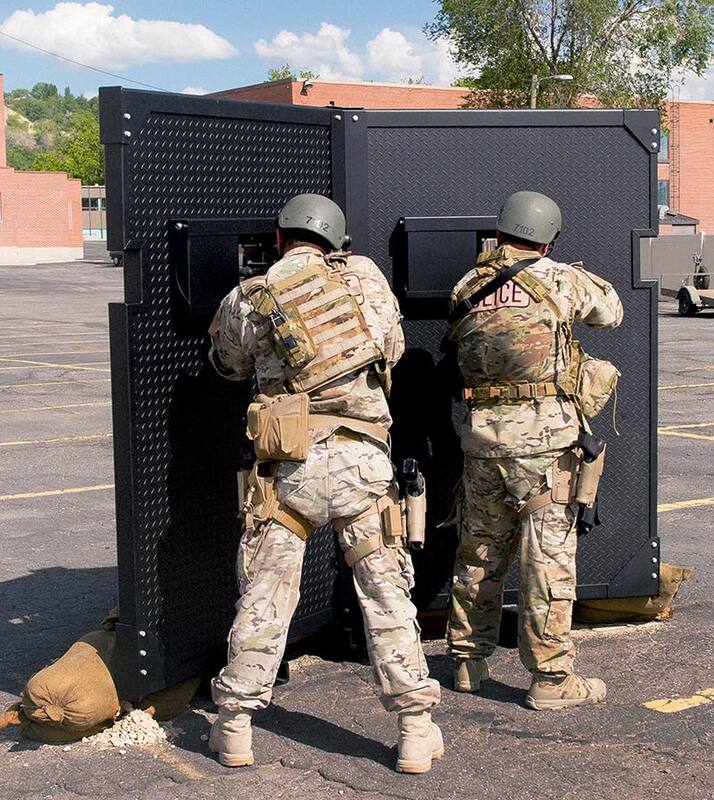 The SOB CHECKPOINT Defense System offers protection from the most aggressive ammunition while maintaining as much mobility as possible. The SOB CHECKPOINT is rated to stop the .50 CAL AP armor piercing round. 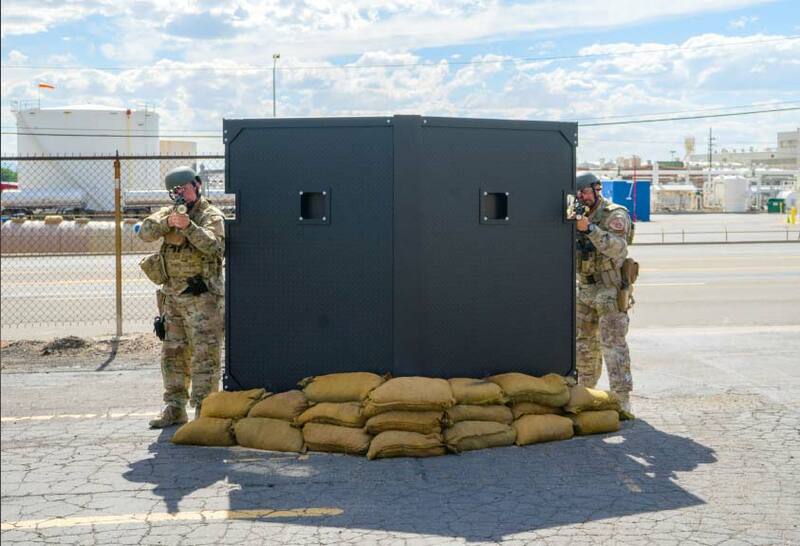 When the situation requires this level of ballistic defense the SOB CHECKPOINT is a versatile, adaptable solution. No matter how you look at it, armor capable of stopping the .50 CAL AP round is heavy; yet our proprietary ballistic material minimizes overall weight while still allowing for mobility and portability. 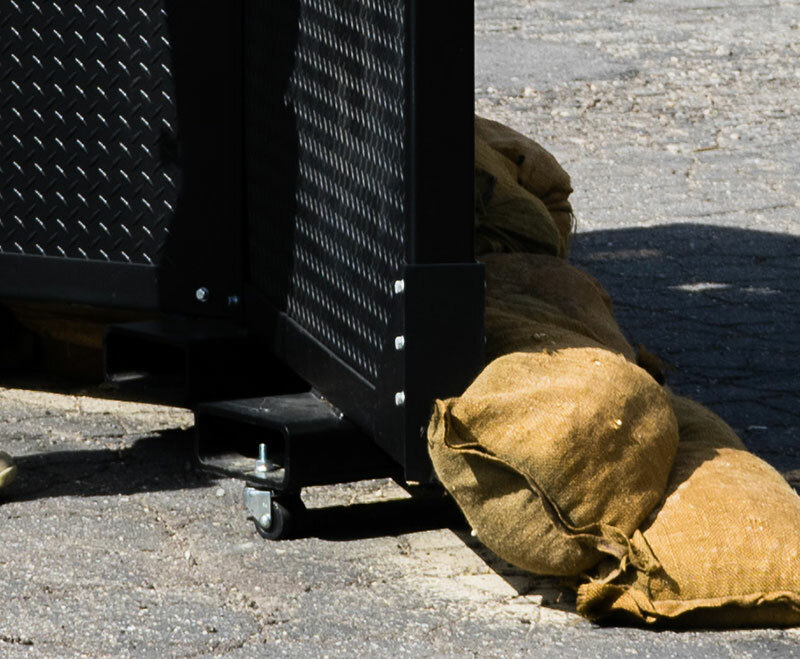 The SOB CHECKPOINT comes standard with forklift access points and can be readily moved and transported to create instant fortifications. The CHECKPOINT can also be fitted with casters and a toe apron allowing it to be maneuvered upon smoother surfaces and within indoor facilities. It can also be mounted on a trailer to provide a truly mobile checkpoint solution. Common applications include security checkpoint protection, industrial security applications, power plant security, and mobile command center fortification. 90”W. x 32”D. x 75”H. © 2019 Special Ops Bunker.